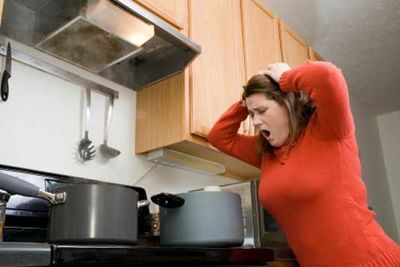 Practically everyone has experienced that dreadful moment in the kitchen when a recipe has failed and dinner guests have arrived. Perhaps a distraction of mismeasured ingredient is to blame or you simply forgot to set the timer. Either way, these handy tips can save the day in a pinch! We've all experienced a kitchen disaster. Here's how to fix some of them. Image courtesy of istock photo. Tip 1: Lumpy gravy or sauce. Use a blender to smooth it out quickly or simply strain it. Tip 2 Soup, sauce or gravy too thin? Add 1 teaspoon of corn flour or regular flour to hot soup, sauce or gravy. Whisk it very well to avoid lumps while the mixture is boiling. Repeat if needed. 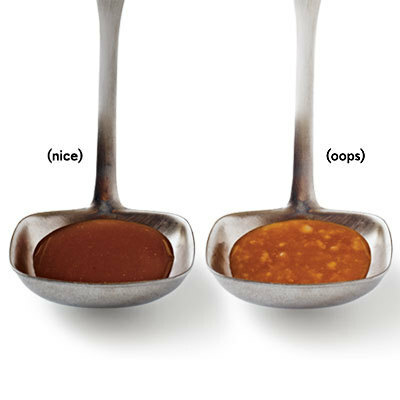 Lumpy gravy or sauce? It's an easy fix. Image courtesy of John Autry. Tip 3 Brown sugar has gone rock solid. Place it in a paper bag and microwave it for just a few seconds to soften it up. Or place the hardened chunks into a food processor. Tip 4 You've overheated (seized) the chocolate. Chocolate can seize (turn course and grainy) when it comes into contact with water. When melted chocolate comes into contact with the tiniest bit of water it will go grainy and crumble. But it can be fixed! Place seized chocolate into a metal bowl over a large saucepan with a small amount of simmering water in it. Over medium heat, slowly whisk in warm heavy cream. 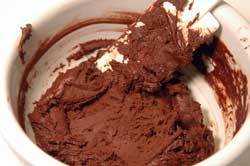 Use 1/4 cup of cream to every 100- 110 grams of chocolate. The chocolate will melt again and become smooth. Tip 5 You've overheated (curdled) milk. 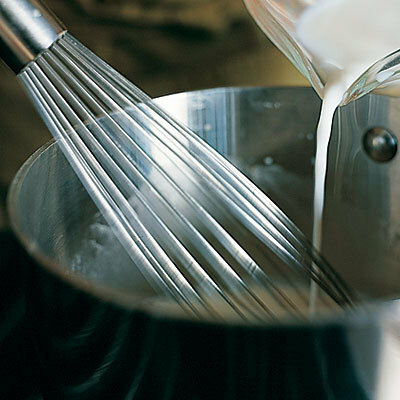 This one you'll have to start fresh with a new batch of milk, but if you hover over the pan and heat it over medium-low heat you should be ok. As a bit of insurance, you can stabilize the milk by adding a bit of cornstarch or flour if you want to bring the milk to a boil. The starch will prevent curdling and it'll thicken the milk, too. Curdle the milk? Sadly this one you'll have to toss and try again, but there's a way to prevent it from curdling to begin with! Cooking is always a trial and error process but with these few fixed, it doesn't always have to be a disaster. Game of Thrones return...who's excited? How to Get Away With Murder; Who's watching?